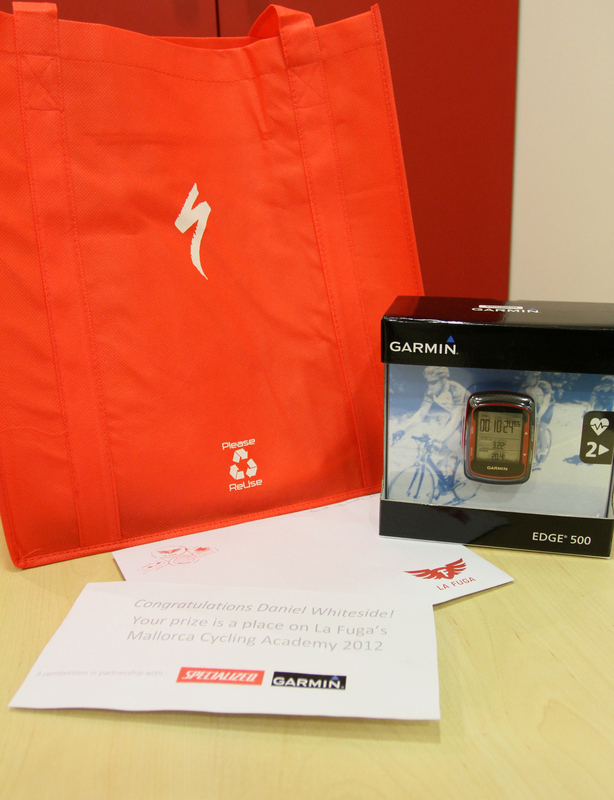 The past year has seen the rapid expansion of cyclists using Garmins to record their riding. The top of the range Edge 800 is perhaps the most intuitive and useful bike computer on the market right now. The Edge 200 and 500 offer a great alternative for a lower price way to accurately measure your cycling to the nth degree. The units come with heart rate monitor belts and are compatible with all power meters, allowing you to keep you cockpit clean with one computer that does everything you need it to. 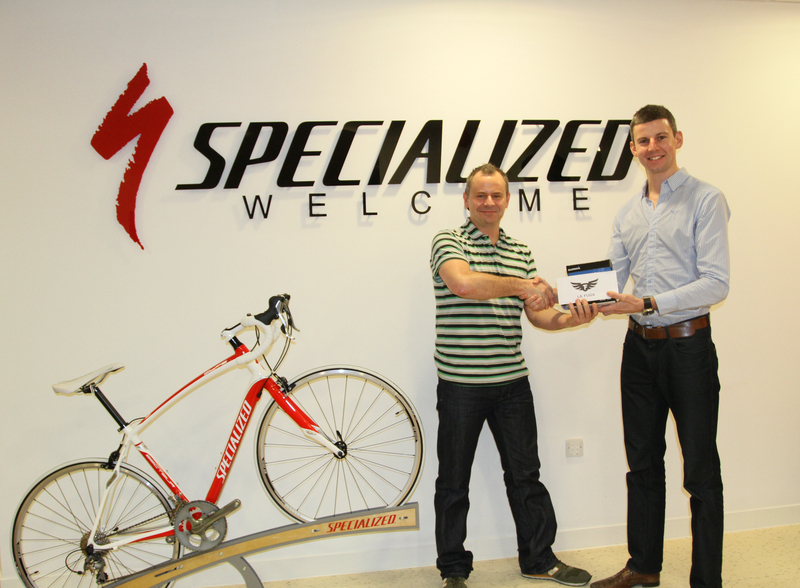 La Fuga are offering the use of an Edge 800 free of charge with each Rental Bike. But now there’s a way of utilising the data recorded by the GPS units, not only to analyse your training, but to compare it to others. This is called Strava. Strava started small last year and since then has become a huge social media engine for the world of bicycles, becoming something of a facebook for cycling. It takes the data recorded by your GPS computer and downloads it to its database; from here it lays your ride details on a map which allows you to view your elevation, speed, heart rate, power etc on a graph concurrently. Perhaps not so revolutionary you might think, and you’d be right. CyclingPeaks offers a much stronger analysis tool of your ride details and Garmin’s own connect tool also has strong analysis software. But where Strava really comes into its own is through what is has christened as ‘segments’. On each of your rides you will find a number of green patches on your graph under the elevation line. Each of these signifies a segment and with each segment comes a ranking. Strava takes your GPS data and calculates your time, average speed, power and heart rate for the segment distance. It then compares your data with everyone else who has uploaded their ride data to Strava. From here it creates a ranking with 1st man overall given the title KOM (King of the mountain) and woman QOM (Queen of the mountain). The titles are occasionally somewhat misleading as the segments aren’t always uphill. Strava will create segments on its own based on the elevation change and gradients of the road. Basically if it goes uphill for long enough and at a certain gradient then it will become a segment. But because Strava allows you to create your own segments on your favourite bits of road, segments are often flat and occasionally even downhill! The La Fuga guides are proud holders of the KOM and QOM titles on many popular segments and we’ve been taking the time to create our own segments with our own ‘La Fuga Strava Club’ which any fugisti are welcome to join. But if it’s not all about being the best, Strava will alert you to every time you record a personal best on each segment and where your most recent effort ranks against past attempts. 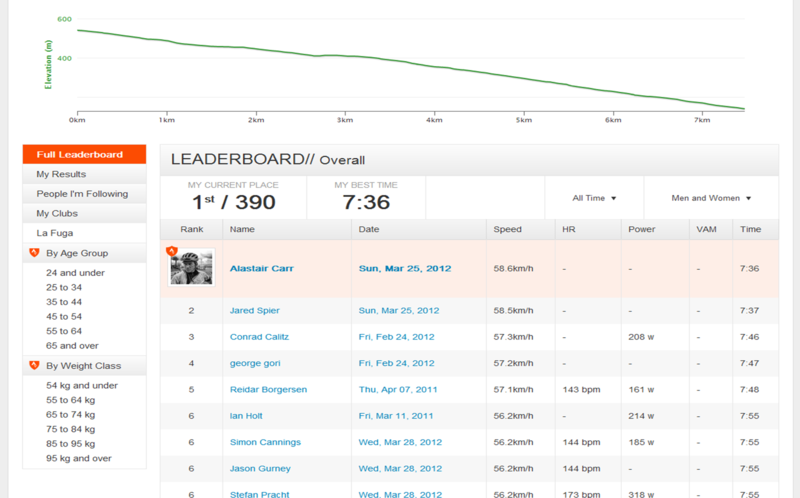 See how you rank compared to other Strava users. Strava offers the perfect opportunity for our guests to share their rides with each other, track each other’s progress, view their cycling getaways and plan their next big cycling challenge. You can ‘follow’ any rider on the website giving you daily or weekly updates on the riding everyone has been doing all over the world. 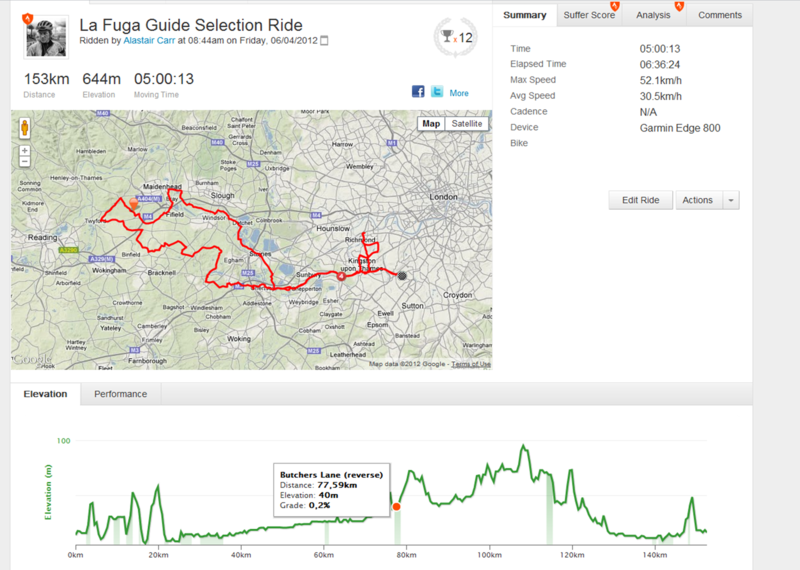 A good example is this Strava ride of one of our guests on our Paris-Roubaix Challenge weekend. Unfortunately he punctured 4 times but his riding time would have put him in the top 20! There are a number of professional cyclists on the site giving you an insight into the kind of training a pro-riders need to do and even detailed information on the races they’re doing. A certain Taylor Phinney became KOM on several cobbled sections of the Paris-Roubaix route last week! We encourage all of our guests to join our Strava community, connecting and sharing your riding to attack exciting new cycling challenges with La Fuga.